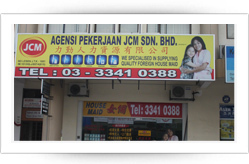 JCM corporate strategy is one of the most competitive within the industry. 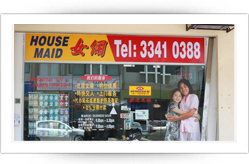 The company has always financed the main activities via education and training programs, both internal and external. 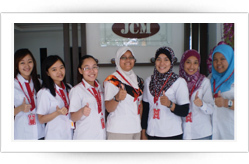 The continuous upgrading of the employees skills will extend JCM’s potential in ever competitive market place. These qualities are increasingly significant as the company pursues to be a major contributor in this country of shortage of workers. Highly selective recruitment policy combined with comprehensive training have contributed to a growth in both the staff levels and their levels of qualification over the years. The company’s flexible structure allows each employee to attain his/her responsibility.We believe in providing excellent services and supports will place us at the top among the leaders within the JCM Business Partner program. All of our JCM's staffs share common objectives, which are maintaining a sound quality of recruitment services and high efficiency in our services so that we are consistent in satisfying our customers' requirements. Besides that, we constantly improve and upgrade ourselves in terms of skills, product supports, as well as providing the best quality of services with the lowest possible costs. In other words, we will always improve or maintain our standards in this competitive edge. Our ability to innovate is indicated by the resources we possess; it is the justification for our heavy investment in personnel, technologies, methods and programs in human resources issues. The flexibility of our corporate structure is guaranteed by our ability to set up efficient operational teams. These team constantly adapt to the ever changing customers' requirements through top quality management.We are determined to maintain our area of strength, which we have a strong commitment from Oversea Recruitment Agency. Other than that, with a sound financial position and top flight skills, JCM is ready and confident to face the uncertainties in the coming years.